Want to earn points for every dollar you spend on products and services at Evolve Lifestyle Salon and Spa? Join our “Inner Circle” and get rewarded for being a client! You’ll also earn bonus points for pre-booking your services and during your Birthday Month. Points will be added to your account automatically by our Guest Services Team at checkout and are available to use 24 hours after your appointment or purchase. points CAN BE REDEEMED in increments OF 250. Click here for the full Terms and Conditions of the Membership. Fill out the form below to register for the Evolve Lifestyle Salon and Spa Inner Circle Membership. You’ll start earning points at your next visit to our salon and spa! Congratulations and welcome to the Evolve Inner Circle! If you signed up for a free membership you’ll start earning points the next time you come to Evolve Lifestyle Salon and Spa! 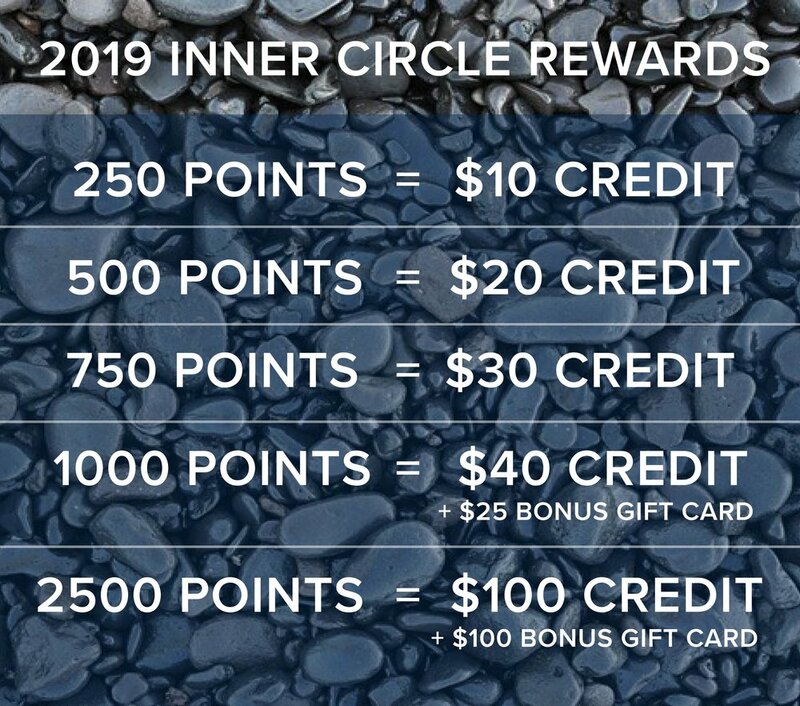 If you signed up for the Elite Inner Circle Membership, a member of our Guest Services Team will be in contact to collect your membership dues of $100. By joining this membership you agree to the Terms & Conditions of the Evolve Lifestyle Salon and Spa Inner Circle Membership. CLICK HERE for the full Terms & Conditions.